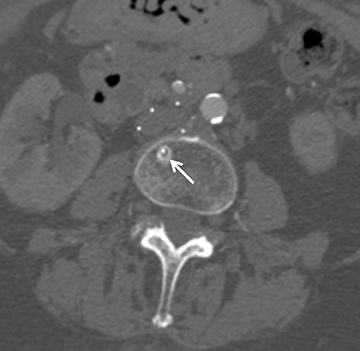 The majority of IVC filters are placed within the infrarenal IVC; however, there are few indications for placement in the suprarenal IVC, such as pregnancy and gonadal vein thrombosis. Filters can be permanent or retrievable, and permanent filters have been placed since the 1970s with few complications. Retrievable filters are placed for the same indications as permanent filters; however, they are used when the need for filtration protection against PE is anticipated to be short. 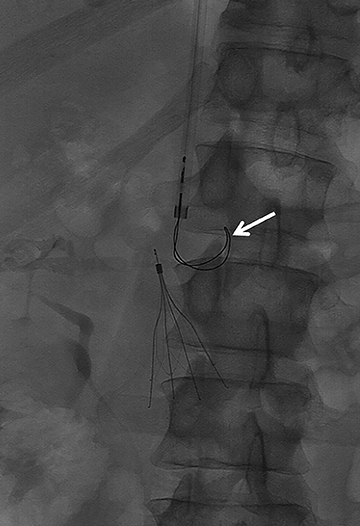 Removing the filter is an option when an indication for an IVC filter is no longer present, the risk of clinically significant PE is acceptably low as a result of the primary therapy, the patient is not anticipated to return to a high risk for PE, the patient’s life expectancy is long enough that the patient will benefit from filter removal, and the filter can be safely removed.2 (Figures 1 and 2). 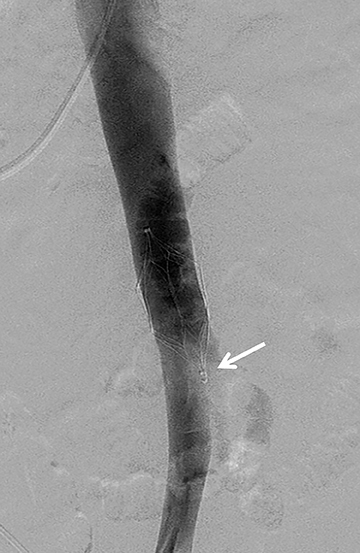 A devastating complication of filter placement is caval thrombosis, especially when filters are placed for prophylaxis. 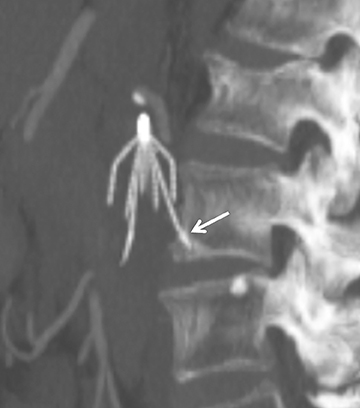 This may warrant additional imaging surveillance, further intervention and a hospital stay.10 In a series by Corriere and his colleagues, IVC thrombosis was seen in 12% of the cases with retrievable filters, and 6% with permanent filters.10 Thrombosis of the access site may also occur, and ranges from 2%-25%, the range being altered by the type of delivery system.3 As many as 30%-35% of patients may experience clinical signs of venous insufficiency at 6 years even when treated with anticoagulation following filter placement. Other complications from filter placement include filter fracture (1%), filter migration (3%-69%), and penetration of the IVC (9%-24%)3 (Figures 3 and 4). 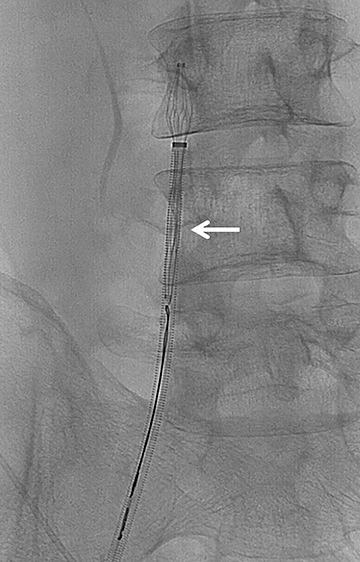 Therefore, it is imperative that the patient have a true, realistic and solid indication for IVC filter placement that is supported by documented clinical evidence. While anticoagulation remains the overall gold standard in treating venous thromboembolism, IVC filters are a safe and effective means of PE prevention, and warrant consideration in patients who have a contraindication, failure or complication from anticoagulation. Caplin DM, Nikolic B, Kalva SP, et al. Quality improvement guidelines for the performance of inferior vena cava filter placement for the prevention of pulmonary embolism. J Vasc Interv Radiol. 2011;22:1499-1506. Kaufman JA, Kinney TB, Streiff MB, et al. 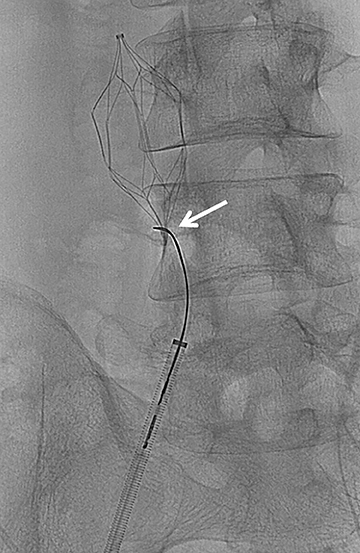 Guidelines for the use of retrievable and convertible vena cava filters: Report from the Society of Interventional Radiology Multidisciplinary Consensus Conference. J Vasc Interv Radiol. 2006;17:449-459. Kinney TB. Update on inferior vena cava filters. J Vasc Interv Radiol. 2003;14:425-440. Smouse HB, Rosenthal D, Thuong VH, et al. Long-term retrieval success rate profile for the Günther Tulip vena cava filter. J Vasc Interv Radiol. 2009;20(7):871-877. Lynch FC. Removal of a Gunther Tulip filter after 3,006 days. J Vasc Interv Radiol. 2011;22:337-340. 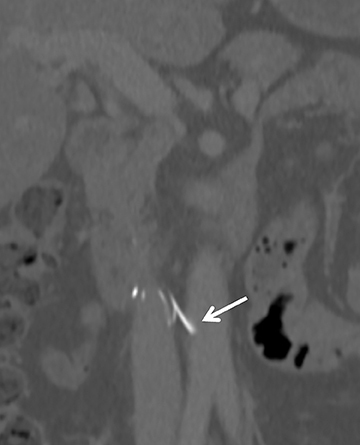 Dinglasan LV, Stavropoulos SW, Shlansky-Goldberg R, et al. 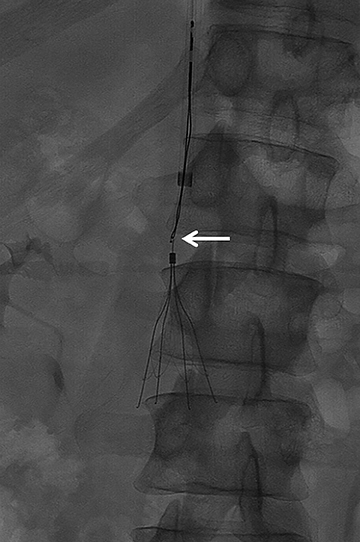 Removal of fractured retrievable IVC filters: Feasibility and outcomes. J Vasc Interv Radiol. 2011, S47. Gupta R, Minocha J, Riaz A, et al. Optimizing IVC filter utilization: The impact of a dedicated IVC filter clinic. J Vasc Interv Radiol. 2011;22(3),S45. Yoon JP, Valenti DA, Cabrera T, et al. Changes in tilt angle, position and penetration of inferior vena cava (IVC) wall of ALN, Bard, Cook and Cordis retrievable IVC filters. J Vasc Interv Radiol. 2011,22(3),S144. Stavropoulos SW, Sing RF, Elmasri F, et al. The DENALI Trial: An interim analysis of a prospective, multicenter study of the Denali Retrievable Inferior Vena Cava Filter. J Vasc Interv Radiol. July 24, 2014;S1051-0443(14)00653-8. [Epub ahead of print]. Corriere MA, Suave KJ, Ayerdi J, et al. Vena cava filters and inferior vena cava thrombosis. J Vasc Surg. 2007;45(4):789-794. 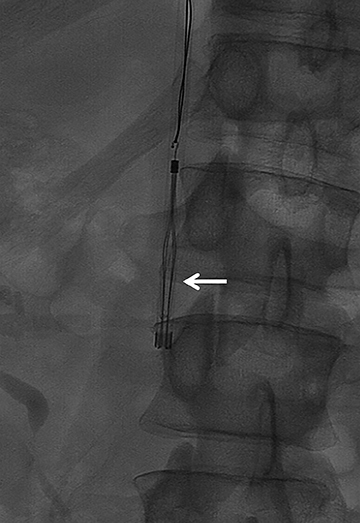 Interventional Radiology: Inferior vena cava filters—Update on placement and retrieval. Appl Radiol. Dr. Abdel-Aal is an Assistant Professor, and Dr. Caraway is a Fellow in the Department of Radiology, University of Alabama at Birmingham.